can refer to a very short period of time, for example a few seconds, as a moment or moments. ... A particular moment is the point in time at which something happens. Capturing a moment in time of something that appears in an instant is always a challenging visual aesthetic. is an understanding retained in the mind, from experience, reasoning and/or imagination; a generalization, or abstraction, of a particular set of instances or occurrences through time, (specific, though different, recorded manifestations of the concept). The act or an instance of moving; a change in place or position or a particular manner of moving. The suggestion or illusion of motion in a painting, sculpture, or design captured here as slices of time and distance of the journey of dance movements. In certain theories in physics, time is not real and is nothing but a product of our consciousness. Our daily experience, as well as our predecessors’, regards time as a flowing entity that defines what we conceive to be the past and also what we conceive as the future. Fantasy has been an integral part of art since its beginnings, but has been particularly important in mannerism, magic realist painting, romantic art, symbolism, surrealism and lowbrow. In French, the genre is called ‘le fantastique’, in English it is sometimes referred to as ‘visionary art’, ‘grotesque art’ or ‘mannerist art’. It has had a deep and circular interaction with fantasy literature. The subject matter of Fantastic Art may resemble the product of hallucinations. Salvador Dalí famously said: "the only difference between me and a madman is that I am not mad". Some recent Fantastic Art draws on the artist's experience, or purported experience, of hallucination. The term Fantasy Art is closely related, and is applied primarily to recent art (typically 20th century onwards) inspired by, or illustrating, fantasy literature. The term has acquired some pejorative overtones. Fantastic art has traditionally been largely confined to painting and illustration, but since the 1970s has increasingly been found also in photography. Fantastic art explores fantasy, imagination, the dream state, the grotesque, visions and the uncanny, as well as so-called "Goth" art. An exploration of ink in water collisions. Sometimes photography without context is enough - sometimes the lack of context gives depth to a picture, a resonance, gives us the space to examine the banality of the subject and its inherent beauty. Having worked exclusively in industrial, product and food photography bringing some 20+ years of photography experience and skills, where he has also found expression through some techniques used in photography and brought them to the fore in visual expression. 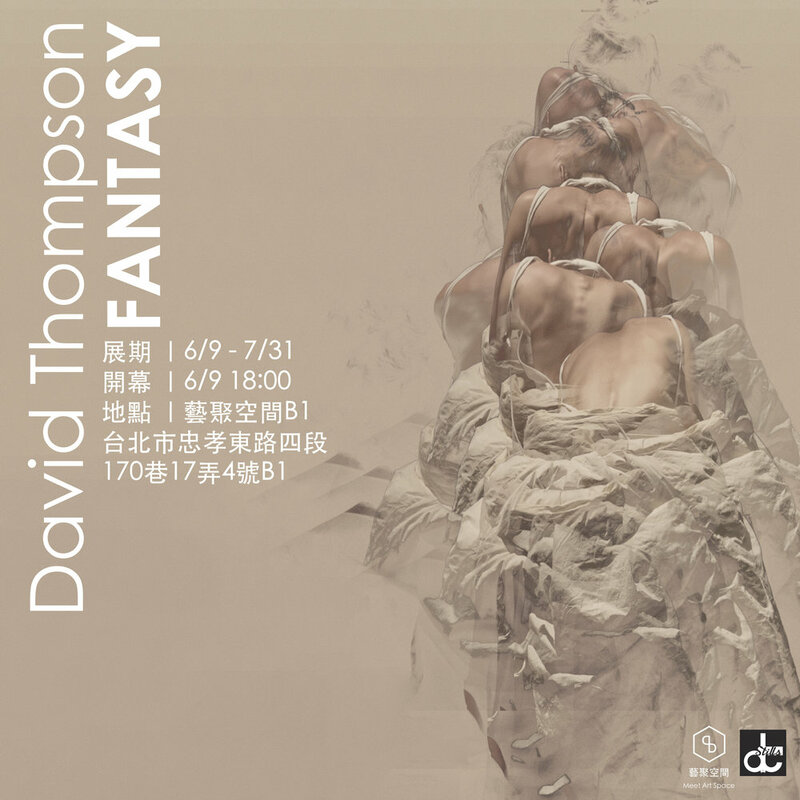 David continues to develop; there is always something new to see and create, to bring a mutual understanding and storytelling of image making in Taiwan. Introduced into Street Photography by Hubert Kilian in Taipei, here is a selection of street photography by David Thompson, taken after dark and into the small hours of the night to reveal some everyday/night aspects seen around Taipei. Born of product advertising, creating splashes with water, paint, oil, liquor, milk and powder that are used to create visual appetite to a product promotion, these creative processes of making organic shapes in flight appear to bend the laws of gravity, producing smooth, dynamic sculptural forms that blur the lines between fine art and commercial photography. Taken out of the frame of commercial photography David has found there is a profound emotional self-expression of something that always has an unknown outcome and delivering surprising results. Much like the Abstract Expressionist of the 1950’s who filled their canvases with colour and abstract forms deriving from subconscious actions to later find the aesthetic in expression, balance and colour. Here fluids are cast from the hand in unregulated actions as only humans can do, movement, speed, distance, volume, viscosity, temperature, all play a part to the final capture of the spontaneous air born sculptures frozen in time and space. 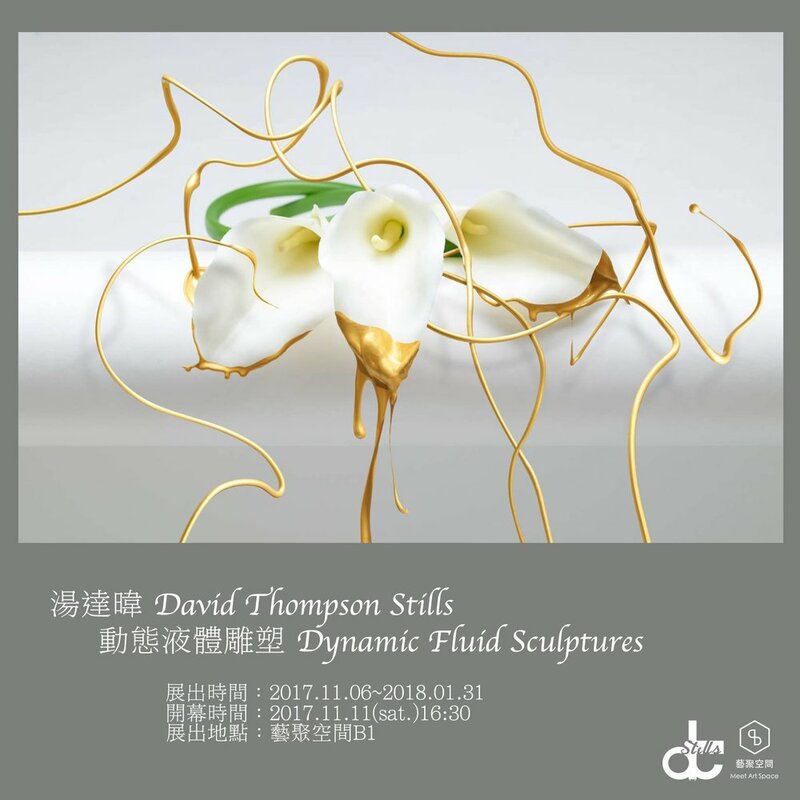 Taipei is one of the most rapidly developing cities in the world, notably seen in its infrastructure and urbanization projects. I'm drawn to the dynamic and specialized feats in engineering and its new architecture. My view is to capture this rapid dynamic development in an expressive and abstract way to convey its energy and substantive mass as an art-form, but also expressing a feeling of everything that is forsaken in its path. We all evolve, embrace the new, whether it's with acceptance of forced upon us, but the new is not all as it appears, lacking in responsibility as it can displace community, isolate, makes sterile, creates voids and emptiness.